We have provided the Uintah Basin with quality vehicles since 1981. 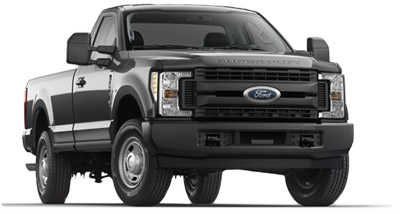 We offer a wide selection of newer and late models cars,trucks and SUV's. Vehicles to fit every ones lifestyle and budget. Bad credit? No credit? First-time buyer? No problem! We work with a variety of lenders to keep rates and payments low! Click our application tab to get pre- approved today! Each Certified Pre- Owned vehicle comes with a 125 point vehicle inspection and a 3 month 3000 miles warranty with the option to add additional coverage. Are you looking for a reliable car rental company with a wide variety of vehicles and excellent customer service? There is no one better than Allsave Car Rental in Vernal. From car rentals perfectly suited for family trips, all-terrain trucks, to Large 15 passenger vans, we have exactly what you need to get to your destination. Contact us today at (435)-789-4777 for more information, or make your reservation online. We serve the Uintah Basin from 2 convenient locations, 2145 E Hwy 40 (inside Naples Auto Sales) and the Vernal Airport at 825 S 500 E Vernal, Utah. Purchasing a vehicle is one of the biggest decisions you will ever make. Our staff wants to make sure you are comfortable and understand your purchase! Browse Naples Auto Sales large inventory of used cars and trucks today - you can view the details of each vehicle online right on our website! You'll find Ford, Chevrolet, Dodge, GMC, Honda, Jeep, Kia, Hyundai, Toyota and most other makes of cars and trucks you might be looking for. We help people from Naples, Utah find the car or truck of their dreams! Naples Auto Sales has a strong and committed sales staff with many years of experience satisfying our customer's car needs. Feel free to request more information about a specific vehicle, set up a test drive for your car of choice, or inquire about auto financing! Stop in and visit with us today - you can bet we'll take care of your automotive needs!